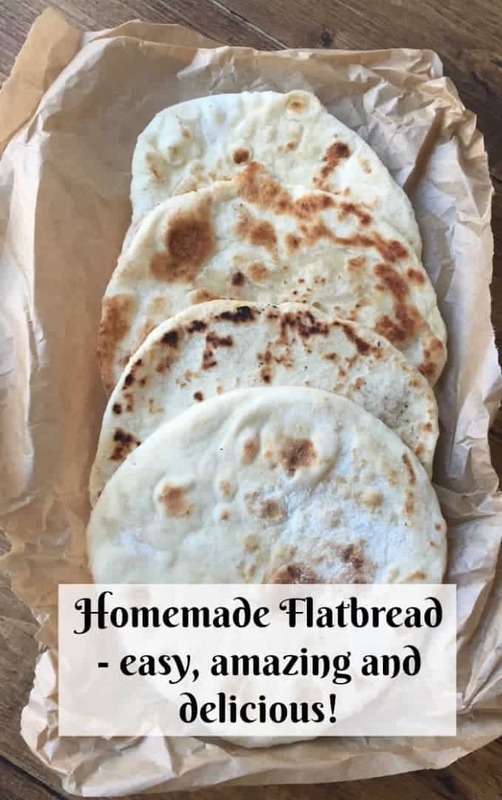 Homemade flatbread – quick, easy and brilliant…. 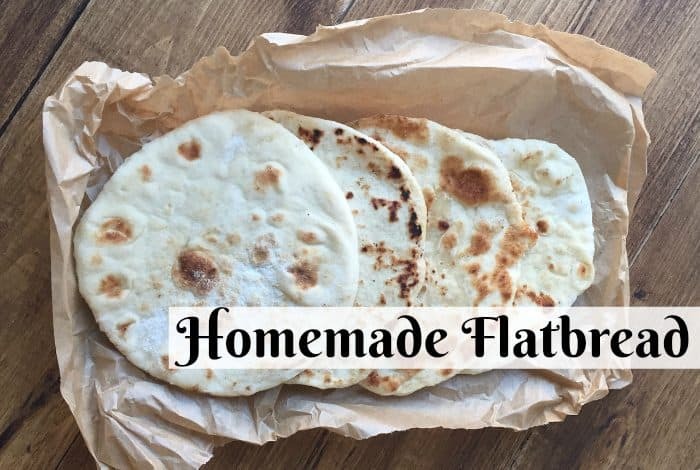 Homemade flatbread is amazing because it’s so versatile as well as being so easy to make that my children can do it on their own. 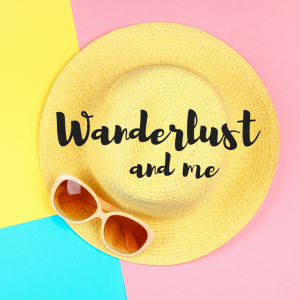 We have homemade flatbread with soup, made into mini pizzas, we use them as pocketless pitta breads filled with lovely fillings, as burger buns, wrapped round hot dogs, with scrambled egg and bacon on – you name it and we’ve probably served it with a homemade flatbread. I don’t have a breadmaker so I make mine by hand but if you have a breadmaker then I’m sure you could use that too…. I literally add all of the dry ingredients to a mixing bowl, stir in the butter a little and then add most of the water. 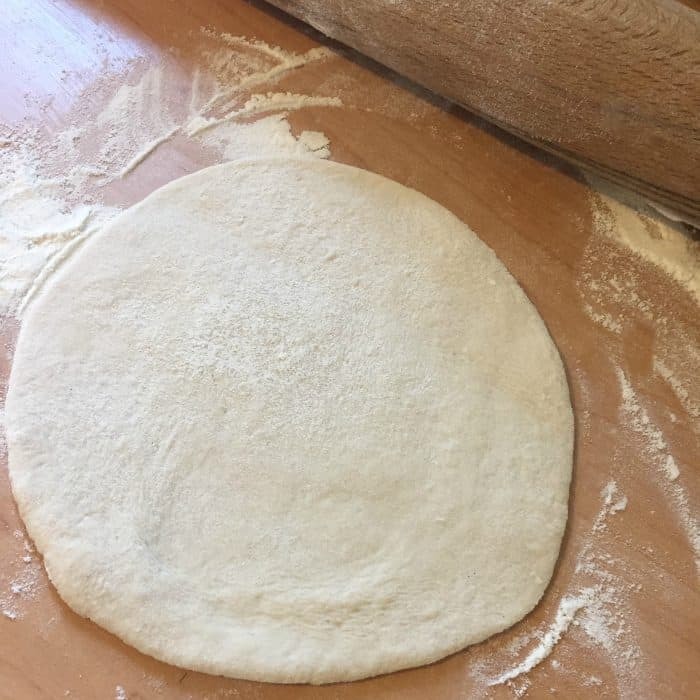 Then I just get my hands in there and form the mixture into a dough – I often have to add more flour or water at this point to get the right consistency. After it’s all pretty much in a ball of dough then I just knead the mixture for about 5-10 minutes until the dough is soft and stretchy and no longer sticky. I pop the dough back into the mixing bowl, cover it with a tea towel and pop it somewhere warm for 45 minutes. 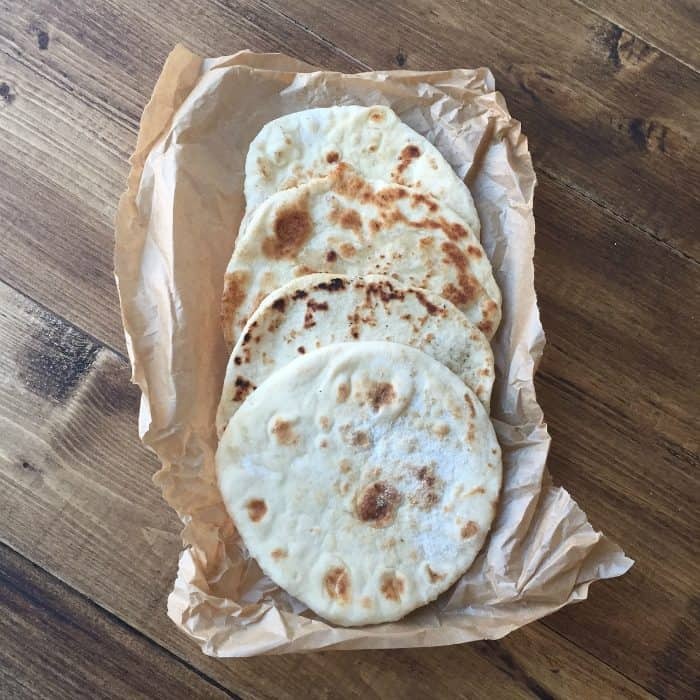 After 45 minutes your dough should have doubled in size – don’t worry if it hasn’t though as that’s OK for these flatbreads. 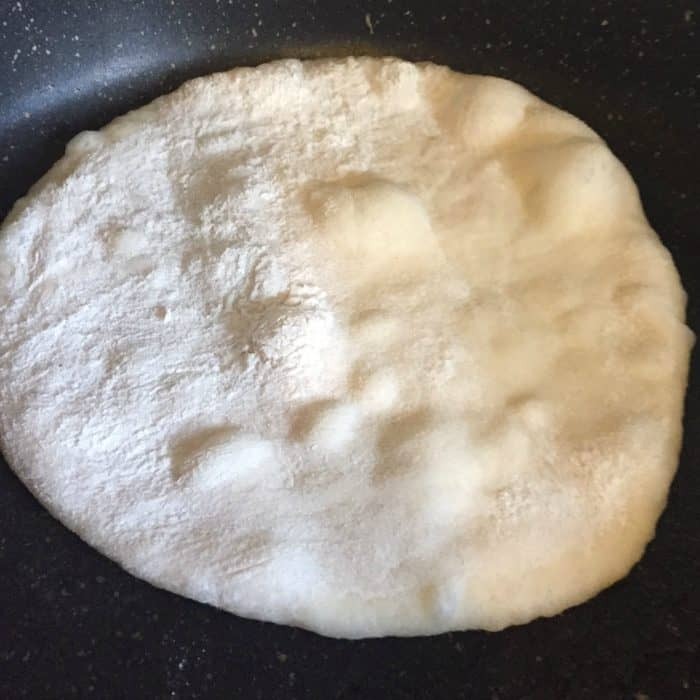 We tend to make quite small flatbreads so I just break off a small handful of the dough and roll it into a ball. Then I roll it out onto a floured surface trying to keep it as round as possible. I then cook them one by one in a hot frying pan with a tiny bit of olive oil. They don’t take long to cook and you can tell when they’re done on one side as you can see bubbles appearing on the surface. 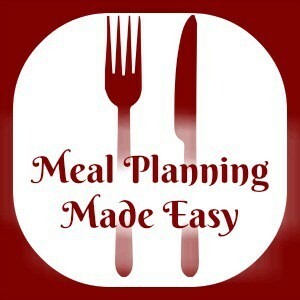 Flip it over and cook the other side and then pop it on a plate while you cook the rest. 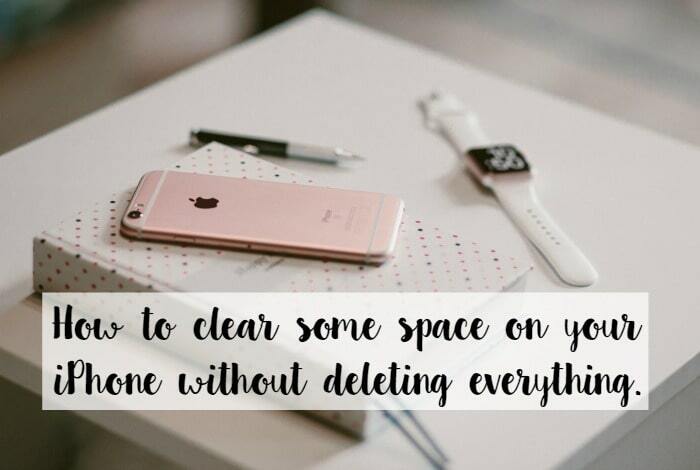 How to clear some space on your iPhone without deleting everything….